Search results for "grits casserole"
We took a cue from shepherd's pie and used grits (in lieu of mashed potatoes) to seal in the flavor of juicy sausage in an ever-so-sweet sauce. A few spoonfuls of cream cheese give this casserole a velvety texture. Garnish with a sprig of fresh parsley, if you like. 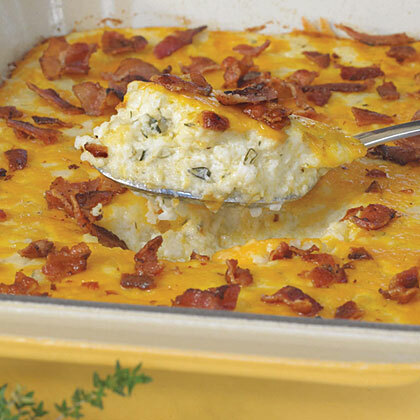 This baked cheese grits casserole is perfect for lazy weekend mornings. Just cook the grits in milk and butter, stir in eggs, salt, and pepper, and pop in the oven–it's ready in less than an hour. 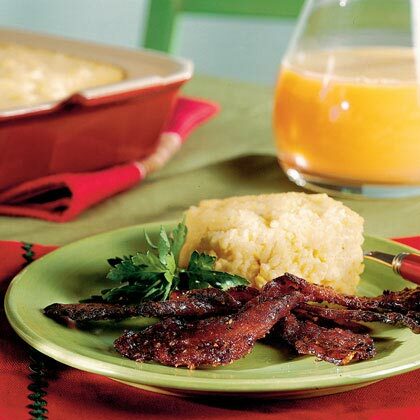 For other Southern dishes like this one, see our complete collection of Southern recipes. 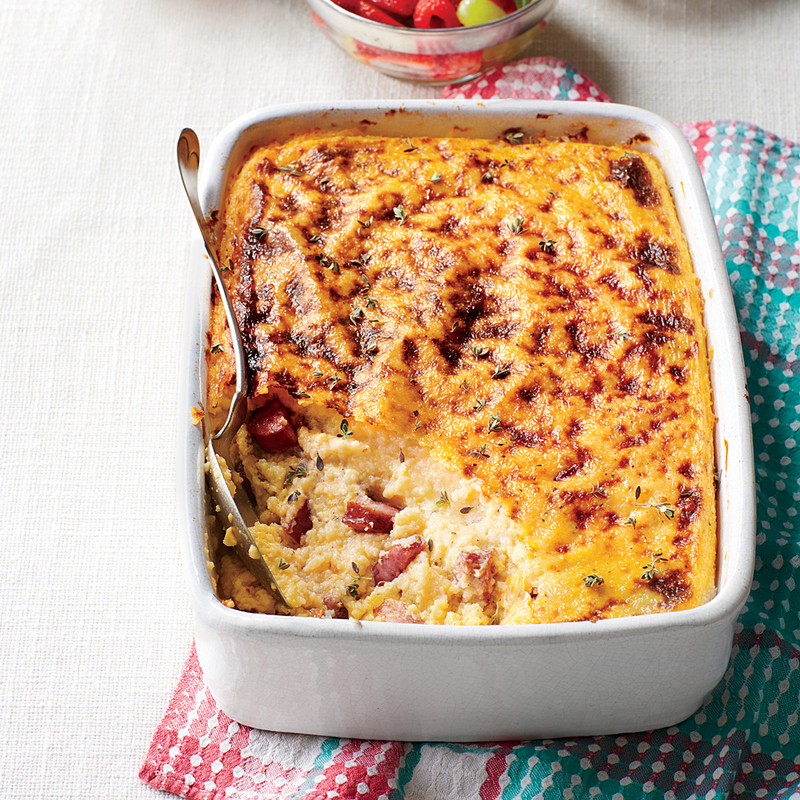 This airy grits casserole stands tall as it finishes baking. Plan to bring it straight from the oven to the table. This tasty recipe is really a basic cheese grits casserole transformed by the addition of unexpected ingredients. 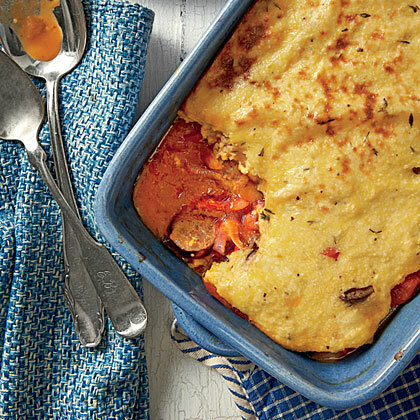 This casserole uses quick-cooking grits. 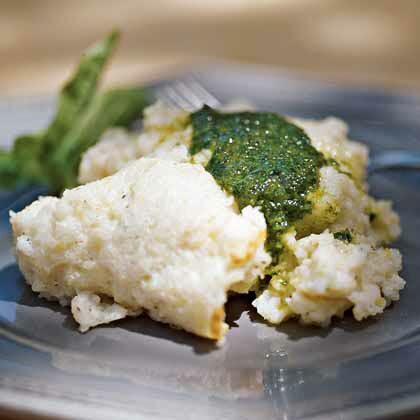 If you have time, use longer cooking stone-ground grits, which yield even more flavor. 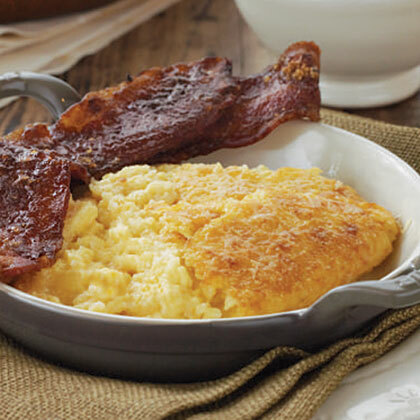 To save time, cook grits the night before, adding seasonings and cheese; cover and refrigerate. In the morning, beat the egg whites and finish assembling the casserole. Note: The casserole falls slightly as it cools. Serve with fried eggs and vegetarian sausage or bacon. This dish is best prepared just before serving. But you can save time by shredding the cheese and slicing the onions, bell pepper, and shrimp the night before. 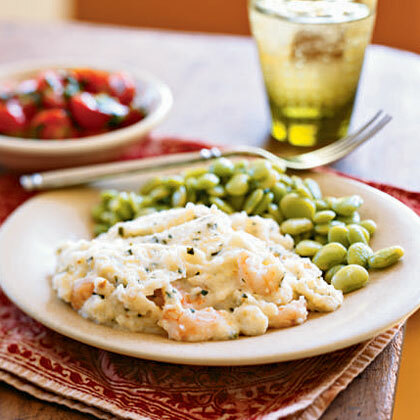 Creamy cheese grits and succulent shrimp make a devine casserole. Don't expect leftovers because your guests are certain to ask for seconds—maybe even thirds! The classic Italian basil sauce freshens a down-home favorite. Beaten egg whites give the grits a light, airy texture; the casserole will rise as it bakes but then fall shortly after coming out of the oven. Use caution as the grits cook on the stovetop; they tend to spatter, so stir them with a long-handled wooden spoon. 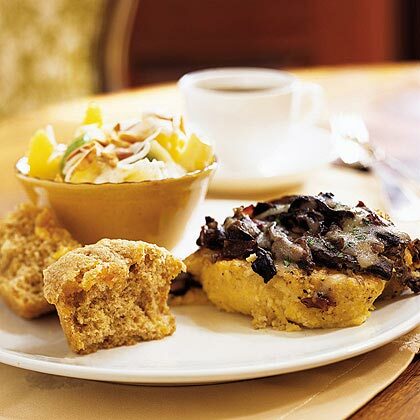 Use yellow grits for the best presentation; white grits may look gray under the mushroom topping. 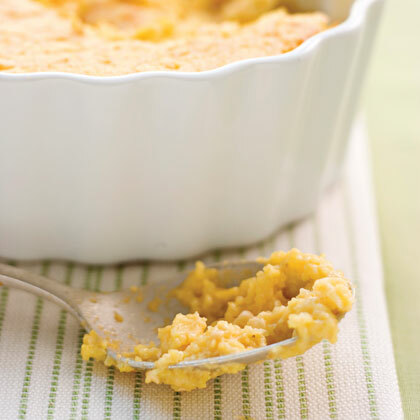 Make-ahead tip: Cook the grits, spoon into the baking dish, and refrigerate overnight. Let the baking dish stand at room temperature while you prepare the mushroom topping; top the grits, and bake as directed. Mrs. Riley says that this recipe may be halved and baked in a 13" x 9" baking dish at 350° for 40 minutes or until bubbly. She also recommends fresh herbs (when in season) instead of dried. To avoid extra chopping, she sometimes steeps sprigs of fresh herbs in the milk as it comes to a boil (this takes about 10 minutes). She then removes the herbs from the hot milk, adds the grits, butter, and salt, and cooks the grits as directed before assembling the casserole. 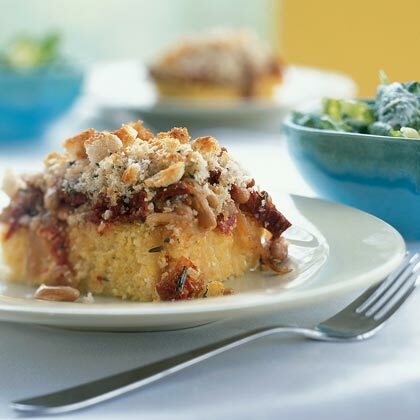 Fresh breadcrumbs and Parmesan cheese create a savory crumb topping.